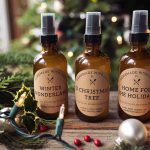 With the holidays upon us, it’s time once again that I share with you some of my favorite, simple homemade holiday gifts. This wintertime staple is a quintessential way to deal with the frosty cold weather. This homemade version is made with only a few, all-natural ingredients and the bonus to making it yourself, besides the obvious, is the free reign to add whatever you’d like to it. 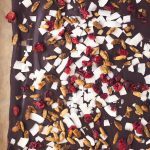 If you like less sweet, opt for unsweetened chocolate, looking for a little more sweetness try bitter or semisweet chocolate instead. 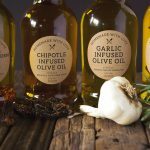 You can add cinnamon or cayenne or any other flavors you’d like (see the bottom of the post for flavor variations). 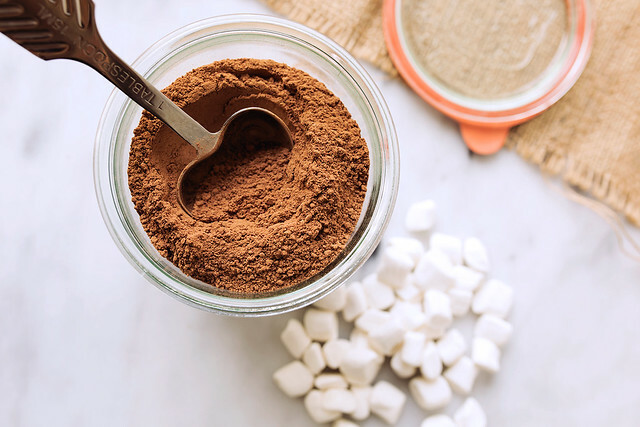 Today I am sharing my recipe for a basic hot cocoa mix with a few suggestions at the end for extra add-ins, as well as a free printable label for you to print out, customize and add to your gift. 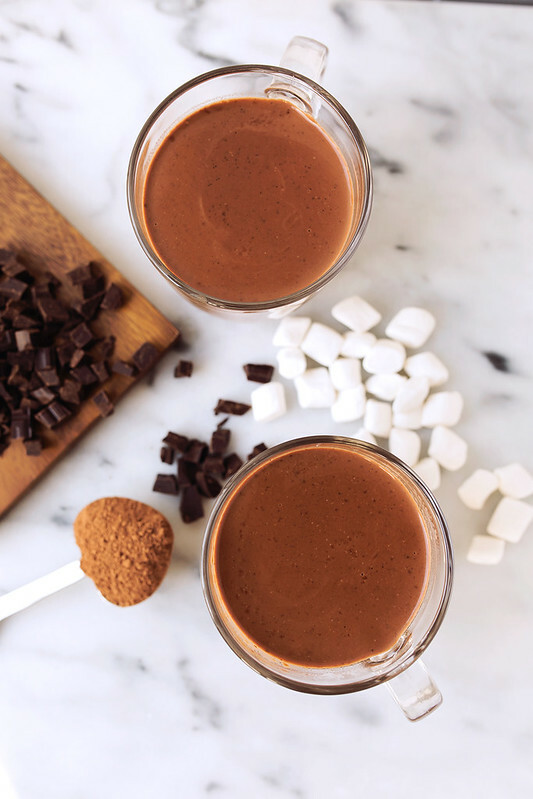 There’s nothing like giving the gift of tasty treats, made with love this time of year, but especially cozy, heart-warming decadence like this homemade Hot Cocoa Mix. Rich and luxurious without being excessively sweet. 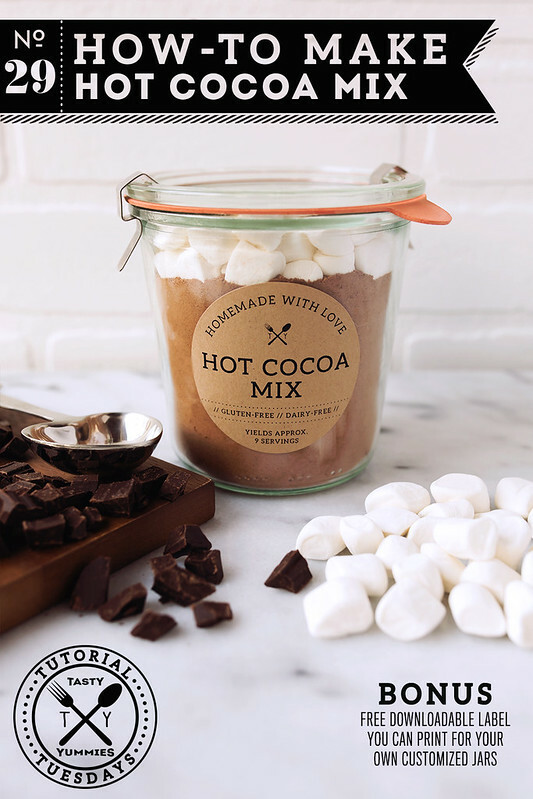 Download the included printable, customizable label, throw in some mini marshmallows, this is a great recipe if you want to make your own. 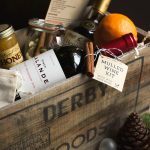 Package it all up in a cute jar, include a tablespoon tied with a little ribbon or string and voila, the perfect holiday gift. 1) Start with just a few simple high-quality ingredients. 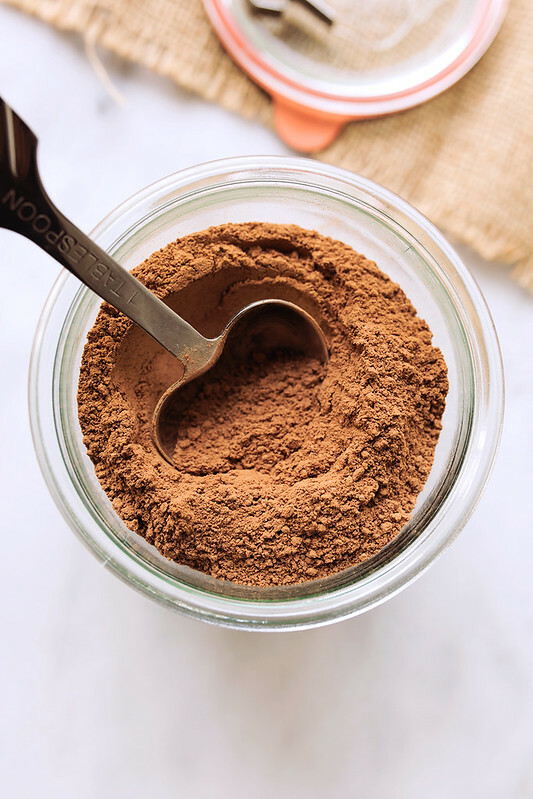 Cocoa powder (or raw cacao), coconut sugar (or other granulated sugar or sweetener of your choice, granulated monk fruit works really great), chopped dark, semi-sweet or unsweetened chocolate, arrowroot starch, vanilla and a little sea salt. 2) Combine all the ingredients in a food processor and blend until powdery. If you don’t have a food processor, very finely chop the chocolate by hand, and whisk all the ingredients together. 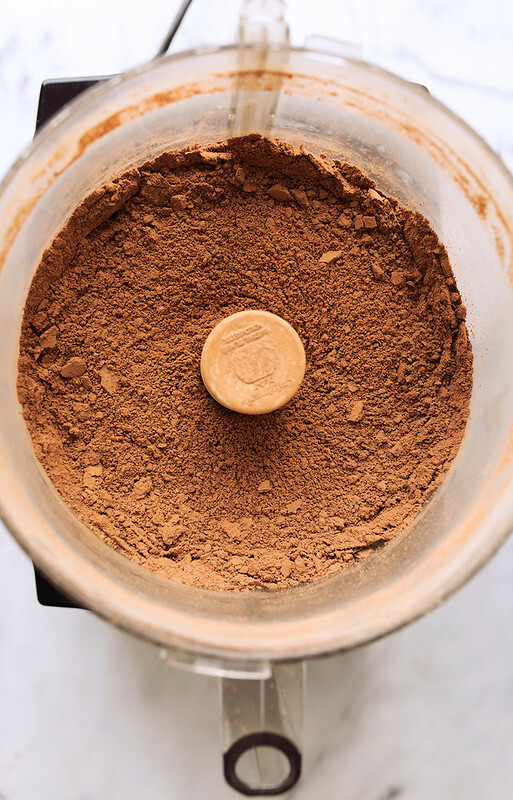 Combine all the ingredients into a food processor and blend until fine and powdery. 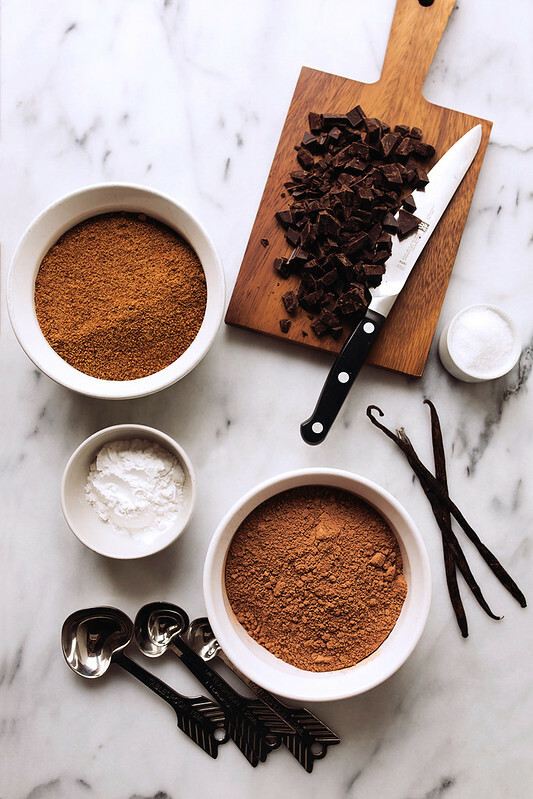 If you don’t have a food processor, finely chop or grate the chocolate until it is as fine as you can get it, and whisk it into the remaining ingredients. 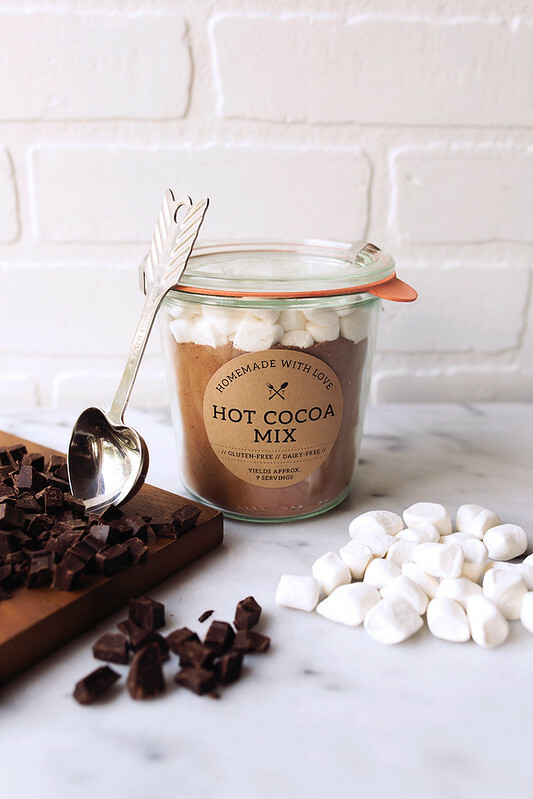 This hot cocoa mix keeps in an airtight container at room temperature for up to 4 months. For Serving: In a saucepan over medium heat, heat one cup of milk (dairy, coconut, almond or others would work here too) until steamy. Add 3 tablespoons of hot cocoa mix. Whisk over the heat for another minute or two, until it begins to simmer and mix is completely dissolved. 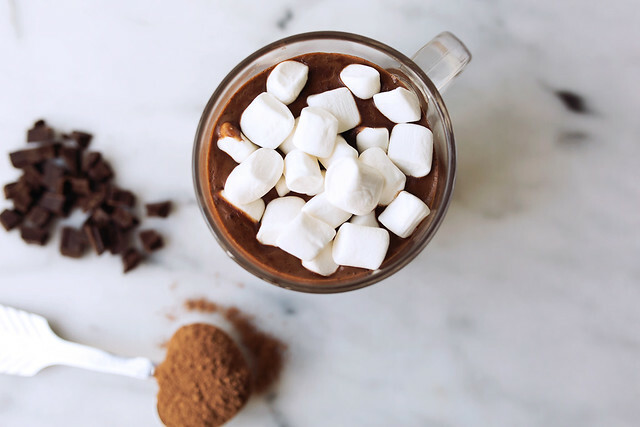 Pour into your favorite mug, top with mini-marshmallows or a dollop of whipped coconut cream. Enjoy. NOTE: This mix will keep all winter if stored in an airtight container. 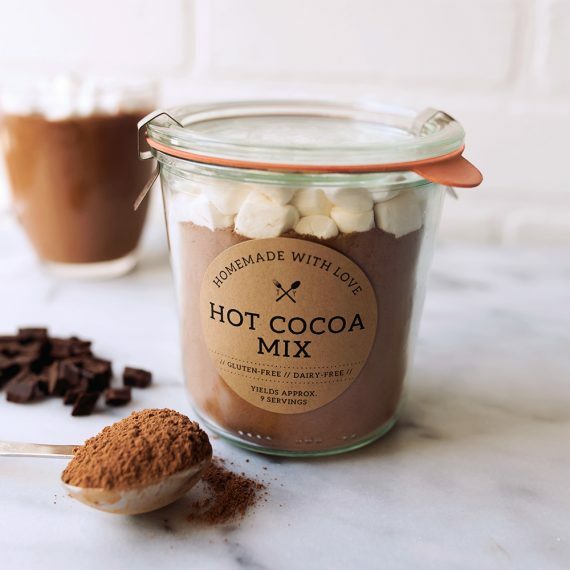 Download a customizable version of these labels to print at home to give your jar of homemade Hot Cocoa Mix an extra-special, personal touch! Print the PDF, simply write your name in under “by:” and fill in the servings. That’s it. DOWNLOAD HERE. You might also want to consider a quick card to go along with it, with serving instructions. Aww what a sweet hubby you are! She will love it. Happy Holidays!! Thanks! How big is your jar? 16oz? With holiday season it is definitely important to have some hot cocoa! I’m a little scared of getting store bought mixes because I don’t trust their ingredients or whatever they decide to put in them. This puts me at ease! Can’t wait to start drinking some hot cocoa! Wow, this looks great-and super easy too! What is the arrow root powder for? 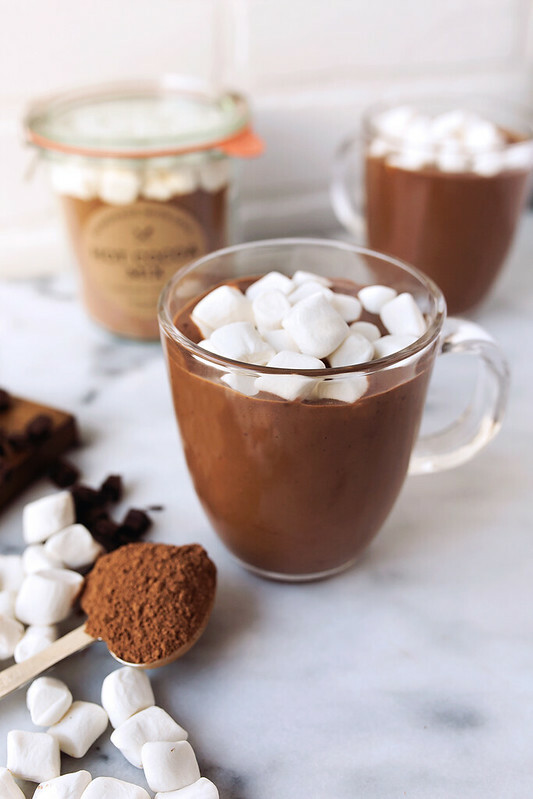 It acts as a thickener, to make the hot chocolate thick and luscious. Where did you get that adorable heart tablespoon measure?!? They were a gift, sorry I am not sure where they are from. Did anyone have trouble getting these to print? I tried several times and they are a bit shifted off of the actual label. I used the exact Avery 22808 labels suggested.